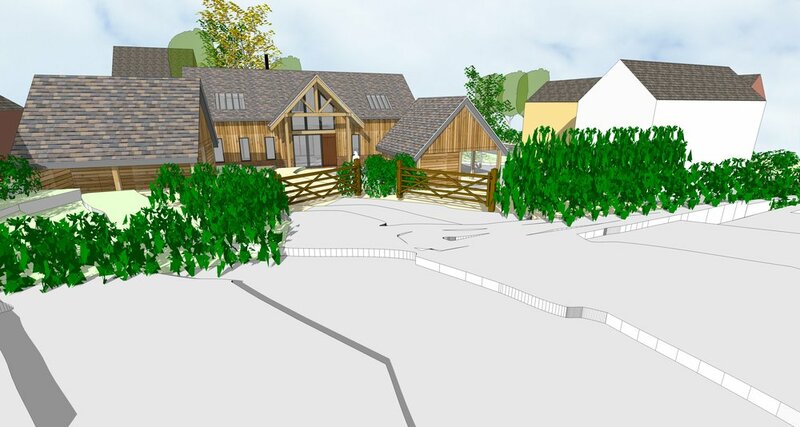 We have just made a planning submission for a scheme in West Gomeldon. The proposal is to build 2no. 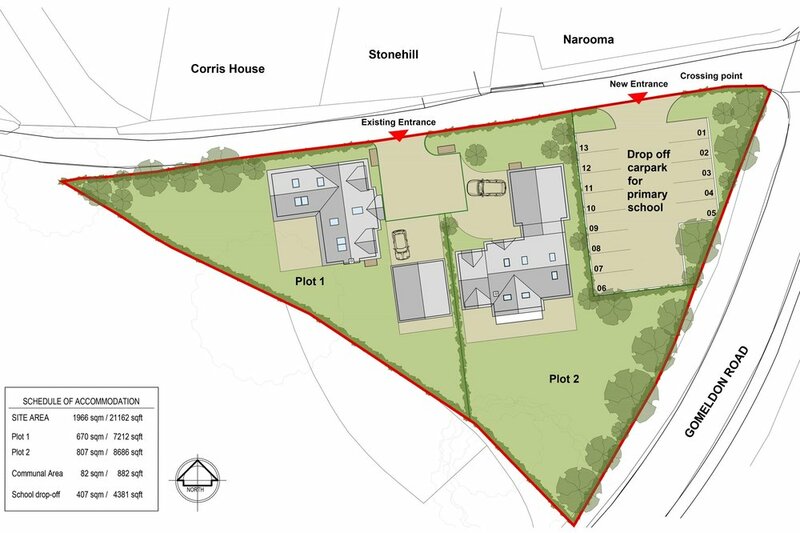 family homes on a sloping site and to form a drop-off car park for the local primary school. The site is accessed from the existing site entrance and will have a shared access opening into a communal space leading to each dwelling. 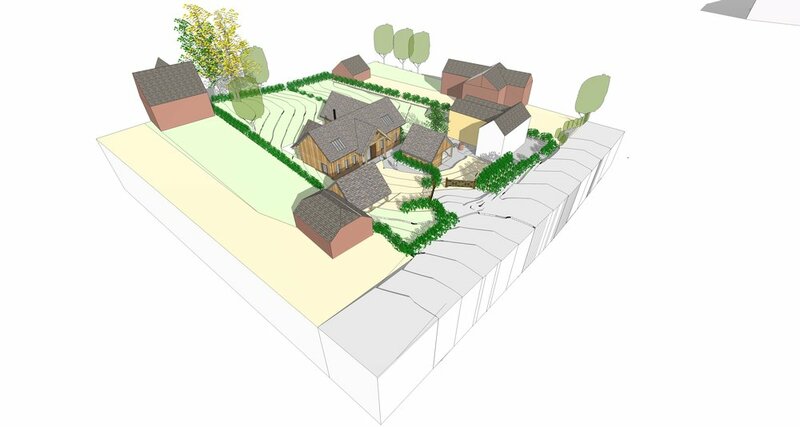 When viewed from the road the new dwellings take on the appearance of chalet style houses and have been located within the site to respond to the fall of the land to the south. 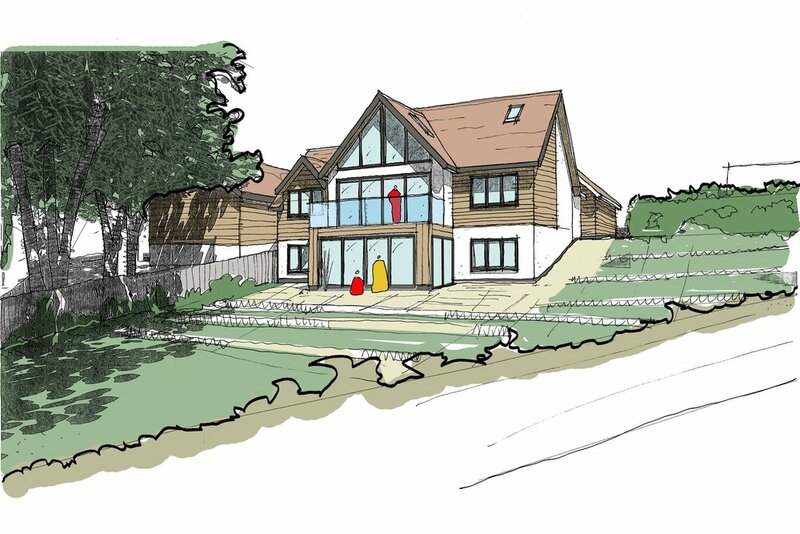 Plot 2 takes advantage of the change in levels through the incorporation of a Lower Ground Floor, invisible from the road, which contains a large study space, snug and the Kitchen/Dining space which opens out onto the garden. 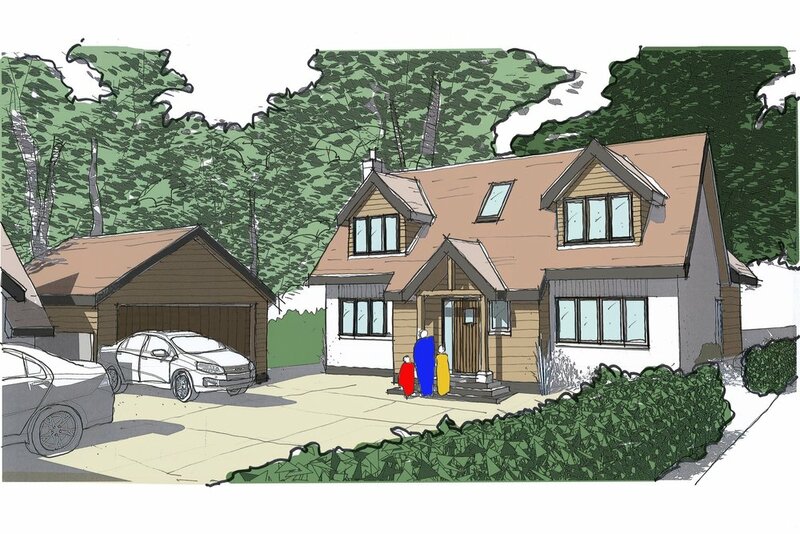 Aesthetically the exteriors of the dwellings have been designed to have a contemporary take on a more traditional chalet style house, with traditional materials and timber framed porches off-set by the contemporary glazing features to the rear. By forming bedroom spaces within the roof, the massing and ridge heights of the dwellings have been able to be kept minimum, reducing the visual impact. The east of the site has been divided off to be used as a drop off car park for the local primary school. Parking around the school is a big issues in Gomeldon, with many parents feeling that the current situation is very unsafe. The inclusion of a parking area in the proposal aims to help improve the local infrastructure of the Gomeldons, increase road safety and improve congestion at peak school times. Gomeldon Primary School has issued a letter of support to accompany our application, along with statements from local residents. We hope this proposal results in a positive planning outcome to enable improvements in the area for the local community.